Your business gifts should be as unique as your brand. 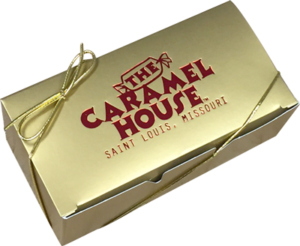 The Caramel House offers mouthwatering caramels in upscale packaging to get your message across in a distinctive way. I will work with you to create what you need to ensure your brand is memorable and fits both your style and budget. To get your custom gift started, please contact me by email at janet@thecaramelhouse.com. If I want an order delivered on a future date, when should I order? Order as early as you’d like. You can place your order as soon as you have all the information. I will prepare your gifts fresh for the scheduled date. It is never too early to order. November/December is my busiest time of the year. I suggest contacting me as early as possible. I prioritize orders on a first-come, first-serve basis. 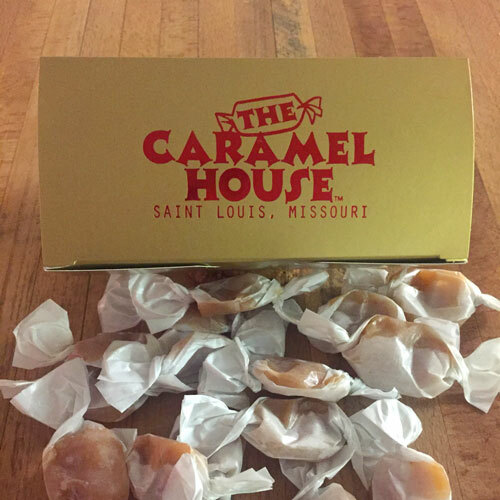 Celebrate your special occasions with St. Louis’ finest, handcrafted salted caramels. 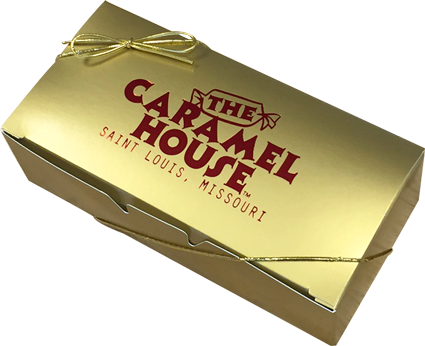 Give the gift of unique melt-in-your-mouth treats from The Caramel House sure to impress. At The Caramel House we take our salted caramel seriously. 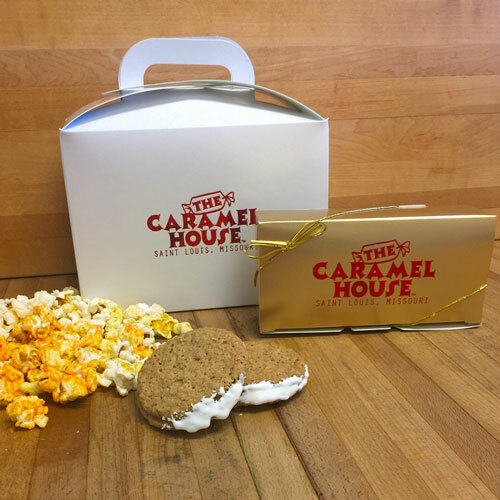 When you give the gift of The Caramel House, you are giving the nostalgic taste of mouthwatering salted caramel that shows the recipient just how special they are. To order: Please contact Janet Ansehl Shulman at Janet@TheCaramelHouse.com. 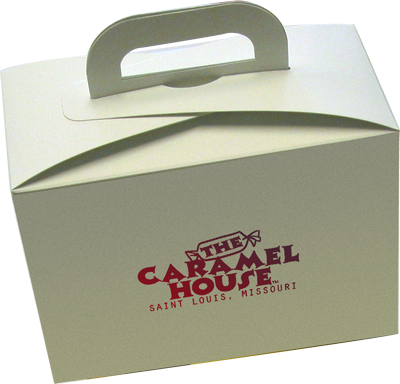 Spoil your out of town guests with a custom gift tote from The Caramel House! Choose from one of my suggestions or email me with your custom creation! 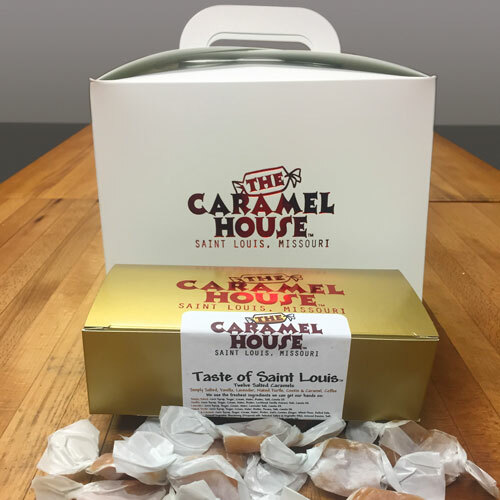 May we suggest The Taste of Saint Louis Gold Gift Box for $15.50! 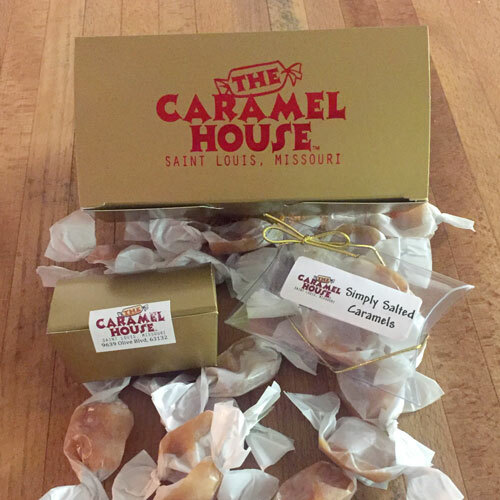 It’s the perfect sampler of six flavors of salted caramels from throughout the state of Missouri including two each of Simply Salted, Vanilla, Lavender, Naked Turtle, Cookie & Caramel, and Coffee in our striking gold signature gift box. 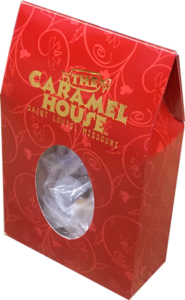 You can take advantage of our Gift Tote and include two caramel popcorns (1 each Saint Louis Style and Chicago Style) and a dozen Scotch Oatmeal Cookies. Or customize by emailing me what you want from the menu! 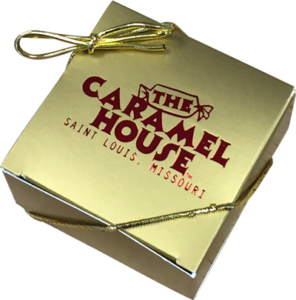 From individual caramels to tasteful gift boxes, I offer a variety of custom packaging options. 4.5" x 2" x 7"
5.5" x 2.75" x 1.75"
7" x 2" x 3.25"
12.5" x 12.5" x 3"